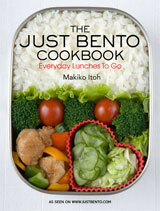 In case you don't follow Just Bento, but read Just Hungry for the Japanese stuff, be sure to check out my onigiri magnum opus. In case you are wondering, yes I made all those onigiri and shot them over the weekend. It took 8 cups of rice! Some are stored in the freezer, but regrettably, many were consumed on the spot by the photographer and me. 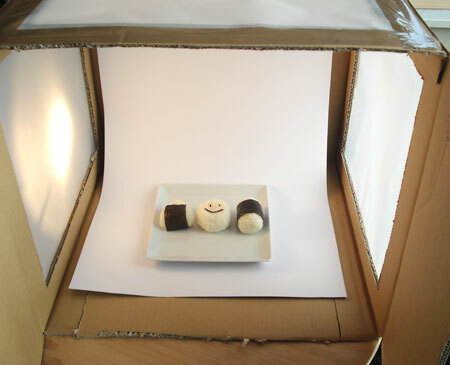 Shooting white rice against a white background, especially on a cloudy day, is not easy. But the other weekend project we managed to finish finally really came in handy - the shoestring 'studio' box. We followed the great instructions on Strobist. We used an old monitor box, sheets of tracing paper, plain white card stock and packing tape to stick things together. Total cost: about CHF 14 (US $12), which includes extra sheets of paper in case of stainage. Total time: about an hour. We need to beef up the lighting situation, but even with the dull available daylight and two 50 watt halogen floor lights, we did a lot better than I thought we would. The box is going to be really handy for shooting from now on, and I don't have to clear the kitchen table all the time or scrounge around for a suitable background. I highly recommend this setup to all food bloggers! Submitted by maki on 2007-11-05 16:01.
absolutely fantastic! this is exactly what i need! thank you so much! i am going to make one RIGHT NOW! Great blog, keep it up. 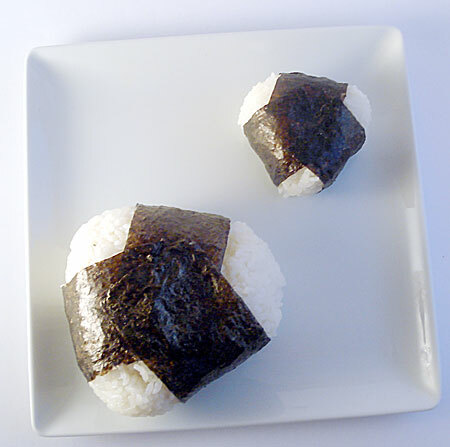 I've started to make some onigiri (brown rice is almost done) and it's 2am!